General Motors Europe boss has told just-auto that the company is off to a strong sales start as it looks to hit breakeven in 2016. In a wide-ranging interview in Geneva, he also said that Opel is looking to address its weakness in SUVs, is concerned about the UK's currency movements and believes that Opel should focus on efficiency gains for combustion engines - rather than go for hybrids - in meeting tighter CO2 emission rules. If GM in Europe is to get to breakeven in 2016, as it has said it plans to, sales will have to be strong, costs firmly controlled. JATO data shows that the ramping up Astra saw strong European sales in January. Speaking at the Geneva Motor Show, where the new Astra was voted European Car of the Year, Opel/Vauxhall CEO Karl-Thomas Neumann is in decidedly upbeat mood. "To be voted European Car of the Year is huge for us. We have invested so much effort and passion into the car. For Astra to be judged the best car in Europe and best in segment is so important for us." 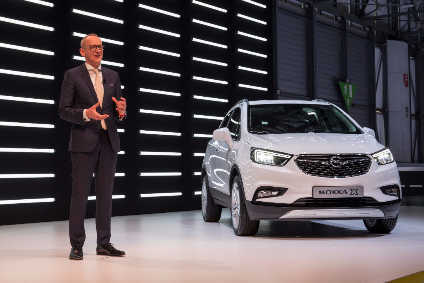 However, he draws attention to another key model on Opel's Geneva's stand, one that occupies a high-growth segment of the European market – compact SUVs. "Mokka X is the focus of this show for us. We were first to this small SUV segment as a European car maker with Mokka. 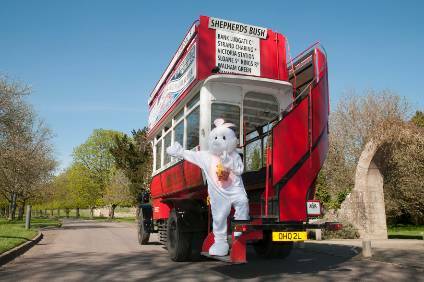 We have been very successful and have sold over half a million of them. The most important thing [with the revised model] is the inside. We have really renovated the interior, it is the same level as the Astra with the new infotainment systems, fully networked." Many eyes in Geneva were also drawn to the GT Concept sports car study. It's a car that Neumann sees as important to lift the image of the Opel brand, even if it doesn't make the production cut. "The GT Concept is important for the brand; it is good to live these kinds of dreams. We are so much in a commodity business with things sold on price, it is important to remember that cars are something emotional and we should not lose that. It is really important to do these 'emotional lighthouses'." "Of course this is an important year for us. We want to breakeven in 2016. This can only happen if we grow [sales] and the good news is that we grew in January, in absolute numbers, by 10% and market share was higher. We also grew again in February. We are making very good progress in our largest markets – UK and Germany – and I expect the same in the rest of Europe. We are heading in the right direction." Neumann also told just-auto that Opel is working hard to control costs. "We have done a lot to optimise our cost base," he said. "This is both in labour cost and also in material cost. All of the cars you see here now are based on global architectures. We give them specific Opel and Vauxhall engineering, but we try and keep as many components the same, across the world. If we don't have the right platforms in GM Group, then we work with PSA." However, Neumann acknowledged that GM's European business unit has seen Russia headwinds where it has withdrawn the Opel brand and mainstream Chevrolet models because of the economic crisis there. "Last year we won market share in Europe as a whole, so we actually compensated for the Russian situation and would have done even better if it were not for that. I tell the team, don't spend your time explaining why things don't work, tell me what we need to do." Quizzed on the implications of the UK's possible exit from the EU, Neumann expressed the hope from a business perspective that the UK stays in. He also said that currency movements are emerging as a concern. "Our biggest exposure is the British pound. The weakness of the British pound is not a good thing for us. We are exporting some vehicles from the UK, thank goodness – that gives us some natural hedging – but in general, the weak pound is a bad thing for Opel and for Vauxhall. That is a question mark and we will work hard to deliver operationally and do the best we can, whatever happens." Neumann also said that a weaker pound could encourage more components sourcing in Britain. "A weaker pound will force us to do more local sourcing. It is driven in a pragmatic way. You want to be close [with suppliers], from a logistics perspective, but that's not always possible. However, competitiveness can go quickly away if currencies move." 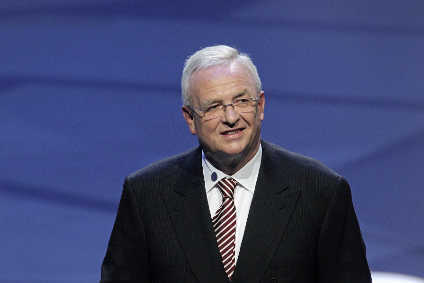 He also stressed that for large items such as powertrain, investments are large and sourcing is unable to change. "The investment is huge. We have now invested in the capacity for the powertrains we need. It would be difficult to make a business case [for significant sourcing change]. There is also a labour cost aspect, so we are try to build the new factories in Eastern Europe and invest where we already have facilities." Neumann said that Opel will launch an 'Ampera-e' [Chevrolet Bolt-based] electric vehicle next year and that it will be affordable and with 300km of range. "It will be the first electric car in the mass-market, not like Tesla. It will have more than 300km of reach and an affordable price. It is not an Astra with an electric engine in it. It is an all-new designed car which takes advantage of electrification because the battery is low to create a lot of space and utility. Plus we will fit next generation connectivity to the vehicle, so it will be much more than just an electric car, it will be a technology lightbulb." However, Neumann believes that combustion engines and diesels remain at the heart of the company's strategy to meet tougher EU CO2 rules (95g/km average for 2021). "The majority of the improvement will come from combustion engines, so we have to build super-efficient gasoline and diesel engines. Diesel engines play a specific role; by the laws of physics they are more efficient, so there is a CO2 advantage and you need a diesel mix and actually our plan is to increase our diesel mix." Referring to dieselgate ramifications, Neumann acknowledged there are uncertainties. "No-one knows exactly where this is going. There could be bumps in the road, but it is still important for the industry that diesel gains back its reputation and that we have confidence in diesel again because it would be crazy to give up the diesel technology opportunities and advantages that we have in Europe." Neumann also pointed out that segment shifts are important. "We don't know exactly how things will move. If we sell way more SUVs than Astras and Corsas, that won't help our CO2. In that case, we may need more electrification to compensate for that. And if we sell way less diesel models, then we need to compensate for that. So you need options and the Ampera-e is one such option. "In the long-run the challenge is to look at the cost of ownership for electric cars to make them competitive. The sticker price is hard. But then you can look into cost of ownership, selling into fleets, sell into sharing environments, areas where the car is moving more, then there comes a point where they become much more competitive." "We want to reach 95g/km with conventional powertrains and not with a big role for hybrids. You need them if you have a lot of large cars or SUVs, but it is an expensive way to go. For Opel/Vauxhall, we try to do efficient combustion engines. That's also why we are not doing SUVs in all segments, but doing CUVs [crossovers] which are not so heavy, not all with 4WD, and are a little lower on CO2. I don't believe that in 2021 we will all sit in large SUVs. It is impossible. Neumann also admitted that Opel does not have a good SUV portfolio. "It is a major weakness that we don't have a good SUV portfolio. We have one SUV – the Mokka – and it is extremely successful. I wish we had more. Two of the three PSA projects are crossover platforms; they will replace Meriva and Zafira. 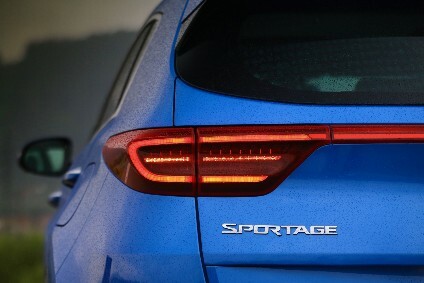 We will also do another Insignia-based flagship SUV, which will be built in Russelsheim before the end of the decade. So in a few years, we will have a much better portfolio."